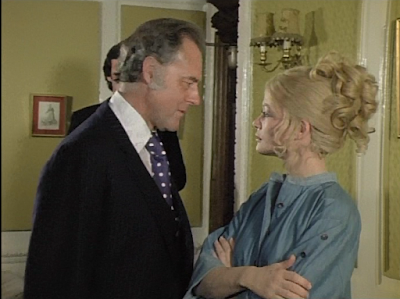 John Kenneth Muir's Reflections on Cult Movies and Classic TV: Cult-TV Blogging: Star Maidens (1976): "Kidnap"
Fulvia (Judy Geeson) is now living on Earth, hoping for the return of her domestic servant, Adam (Pierre Brice), so she can return to Medusa with him. 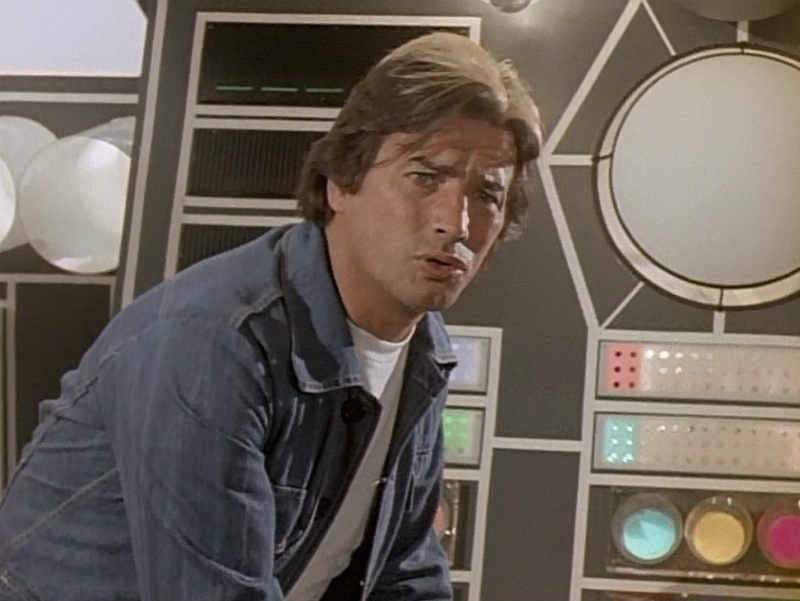 The mechanic Shem (Gareth Thomas), meanwhile, works on repairing Fulvia’s space craft, Nemesis, which was damaged in the proton storm on the flight to Earth. During Fulvia’s stay on Earth, a scientist, Dr. Gregory (Terence Alexander) who is actually working for the Iron Curtain, seeks to capture Fulvia, so that he can electronically transfer knowledge from her brain to a computer storage bank. To gain Fulvia’s trust, he attempts to seduce her with champagne and romantic music..
Adam, who is spying on Fulvia, becomes incensed by Gregory’s attempts, and races to Fulvia’s rescue, proving that he possesses feelings for his ex-mistress after all. The fifth episode of Star Maidens (1976) sets its action on Earth, and that’s a crucial piece of the format now. The episodes, going forth, tend to alternate between Fulvia and Adam’s story (on Earth), and Octavia, Rudi and Liz’s story on Medusa. Right off the bat, I should note that I prefer the Medusa-based stories. 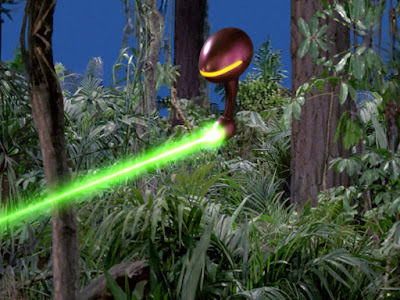 These episodes are dominated by strange sound effects, sci-fi devices and philosophies, and even miniature space craft. They tend to be more serious tales of intercultural conflict. But the Earth-bound stories have their appeal too. They tend to be a little funnier, a little campier. Stories like “Kidnap,” with Fulvia being seduced by champagne, are played tongue-and-cheek, and yet boast a rather sweet side as well. For example, in the episodes leading up to “Kidnap” Adam has been quite convincing about his desire for equality, and his dislike for Fulvia, his former mistress, as well as the culture of Medusa. And yet, Fulvia has risked everything -- traveling to Earth without authority to do so, and braving a proton storm en route -- to win back Adam, her domestic. When last we left the series, she was face to face with Adam, and he shunned her, running away, rather than contending with the emotions she felt for him. Here, we get an answer regarding Adam’s feelings for Fulvia. Quite clearly, Adam does boast feelings -- and romantic ones to boot – for his ex-mistress. We see him overcome with jealousy when he believes she is being tricked and seduced, and he races to rescue her. 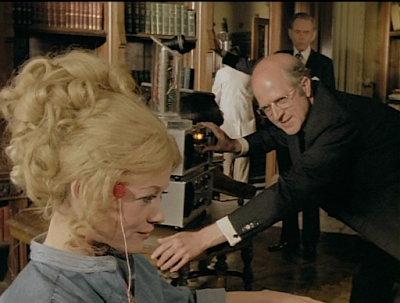 So Adam and Fulvia share…something. It’s sort of sweet, actually, since they are both emotionally-conflicted. Take away all the “war of the sexes,” all the politics, all the dogma about men and women on Medusa or Earth, and Fulvia and Adam are seen to actually care for one another. It’s all the other stuff that is keeping them apart. They are both oppressed by their society, and by the expectations their genders carry there. This notion seems very touching, to me, anyway, and makes a silly story like this one more than just a joke. In a later episode “The Perfect Couple,” Star Maidens goes deeper with the idea, and turns the series – briefly – into a domestic sitcom satirizing gendered roles on Earth. 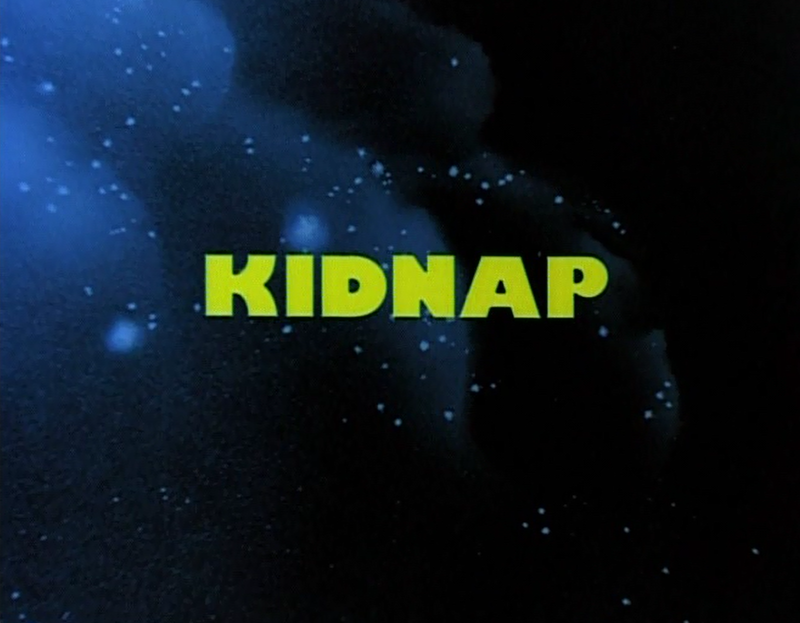 The ending of the episode, “Kidnap” actually synthesizes it all nicely. Another Medusan notes to Fulvia how strange Earth is. “A man fights for a woman! Everything is topsy-turvy on this planet!” She says. Fulvia is quiet for a moment and then responds. “Yeah, but it’s nice.” It is on Earth, after all, that Adam and Fulvia begin, finally, to connect in a meaningful (not structured) and emotional fashion. Here, not on Medusa, Adam is able to demonstrate the freedom to be, well, gallant. 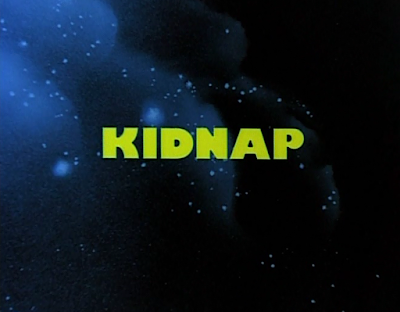 “Kidnap” is not a perfect episode, for certain. 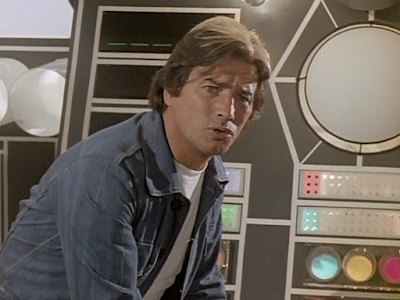 For instance, Nemesis -- Fulvia’s highly-advanced spacecraft -- remains unguarded in a field in rural England. There are no guards from the Army watching over it. There’s no “no fly zone” (that we know of). There aren’t even roadblocks to prevent cars from entering the field. In fact, the opposite is true. Characters are constantly driving to the field, and parking feet from the spaceship. It seems that a vessel of this high-technology would be coveted by the British government, and under heavy guard, or at least some form of protection. As noted above, I much prefer the episodes of Star Maidens set on Medusa. The environs are just so much more interesting than the 1970’s Britain we see in “Kidnap.” But this story has its silly, and occasionally affecting joys too. Most enjoyable about it, perhaps, is the idea that Fulvia is kidnapping Adam (back to Medusa), though others think she is the one being kidnapped. Both parties are wearing blinders, and believe firmly in their own superiority.